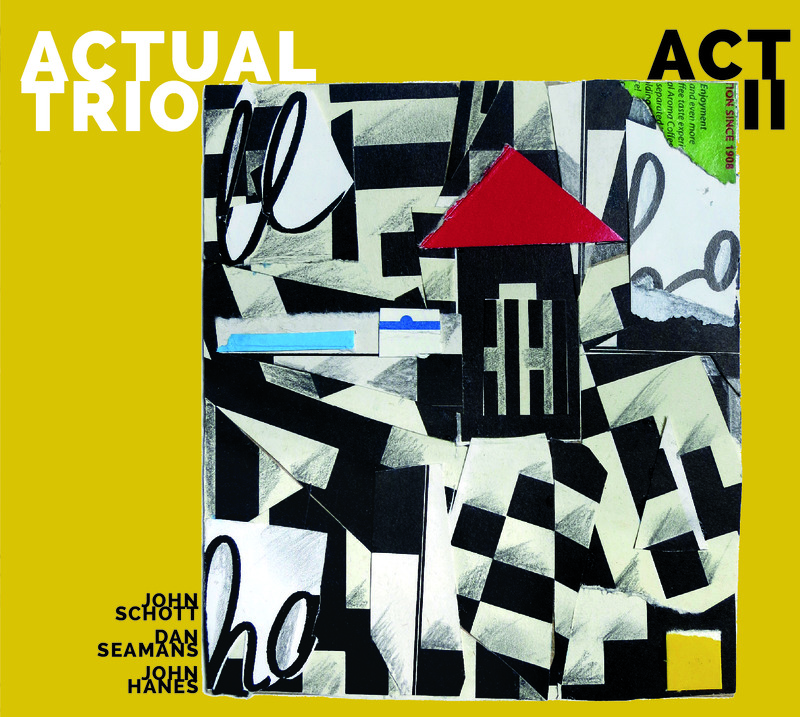 The new Actual Trio record, recorded at Fantasy Studios in Berkeley and produced by Hans Wendl, is HERE. I’m completely over the moon about this one! Featuring cover art by the legendary Han Bennink, the smokin’ playing of John Hanes and Dan Seamans. and graphic contributions from Myles Boisen and Aaron Novik, as well as the original ditties and guitar stylings of yours truly. Design by the awesome Saana Baker. Available from all the usual outlets, as well as, very soon, here. But that part will take a week or so. However, you can paypal or mail me $16 for a copy anywhere in the U.S. Although this is far from being a solo “John Schott” record, it is essentially my sixth disc as a leader: In These Great Times, Shuffle Play, Typical Orchestra, Drunken Songs, Actual Trio, and Act II. 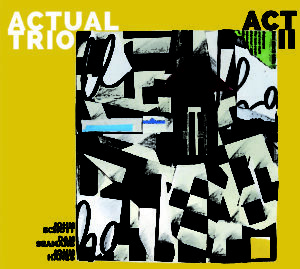 This entry was posted in Music Thoughts, Recordings, new and used and tagged actual trio; new CD. Bookmark the permalink.